November’s Skate Rising event was held at EXPOSURE Skate on Saturday November 4, 2017. 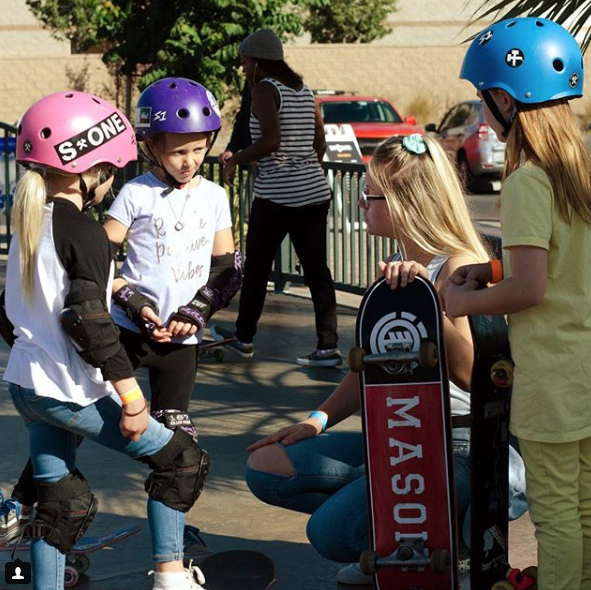 Skate Rising was started by Calli Kelsay as EXPOSURE Skate’s youth program for girls. 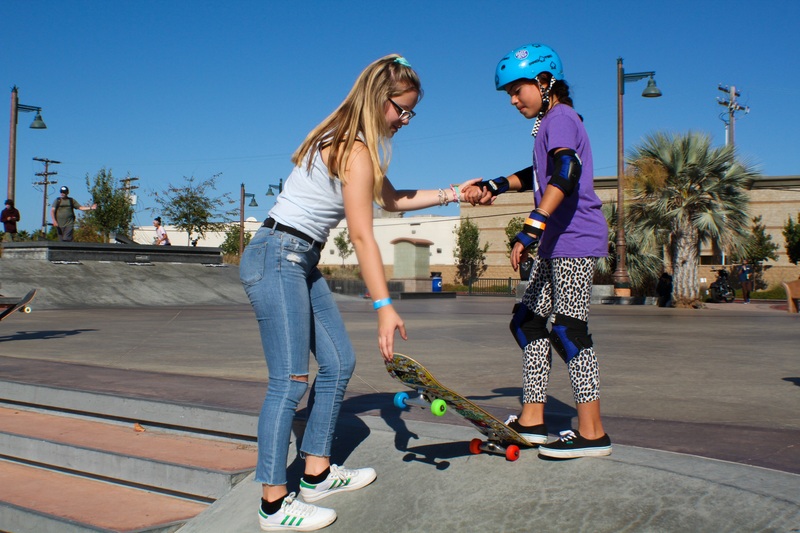 Skate Rising teaches compassion through service and empowerment through skateboarding. 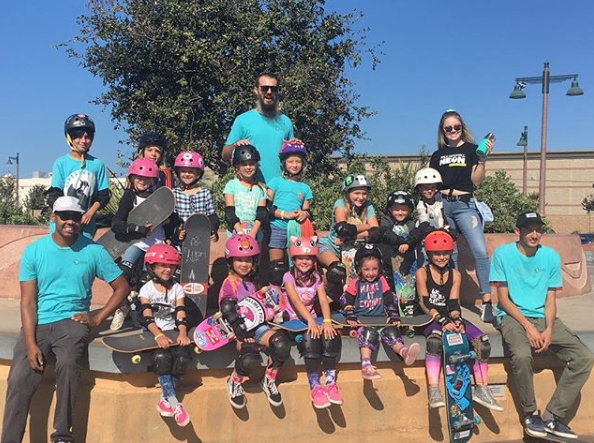 This month’s event included a free Learn to Skate Clinic with Neal Mims Skate Academy. 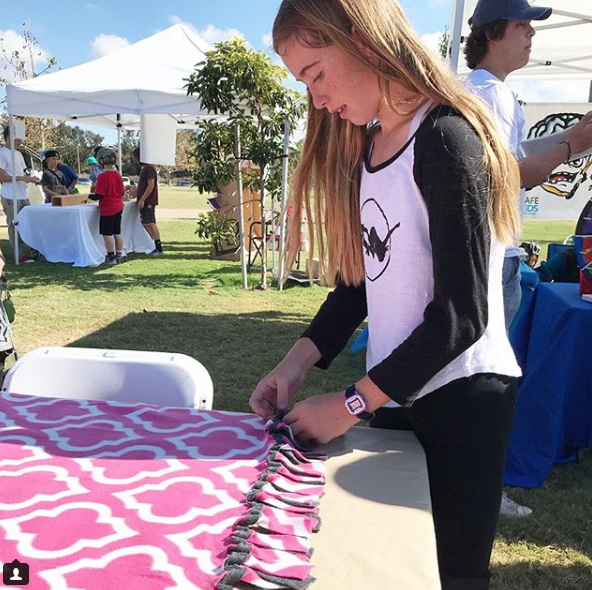 This was EXPOSURE Skate’s 6th annual event featuring competitions, vendor village, yoga clinics, and a skate clinic. 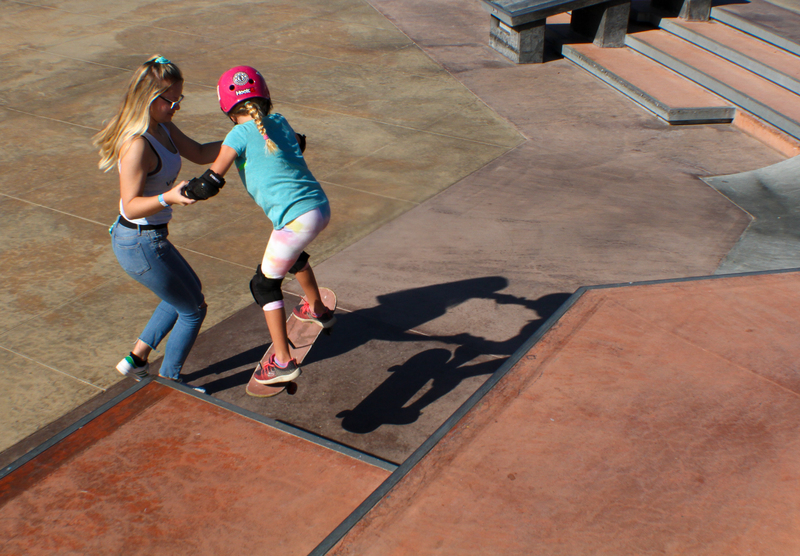 My favorite part is always the skate clinic because it’s filled with encouragement, smiles, and hand holding. It’s amazing how much courage can come from the simple act of holding hands. I was amazed by the girls’ willingness to try new things. Girl after girl faced her fears and succeeded. kick turns, ledges and more! Plus I saw them make new skate friends. Skateboarding is always more fun with friends who encourage you. The skate clinic was in the morning so the girls had the rest of the day to watch the competitions and participate in the village activities including the service project at Skate Rising. This month’s service project benefitted Carol’s House, a women’s shelter and the beneficiary of the EXPOSURE Skate event. The girls made knotted blankets for the shelter. The girls also had the opportunity to paint rocks and participate in raffles. 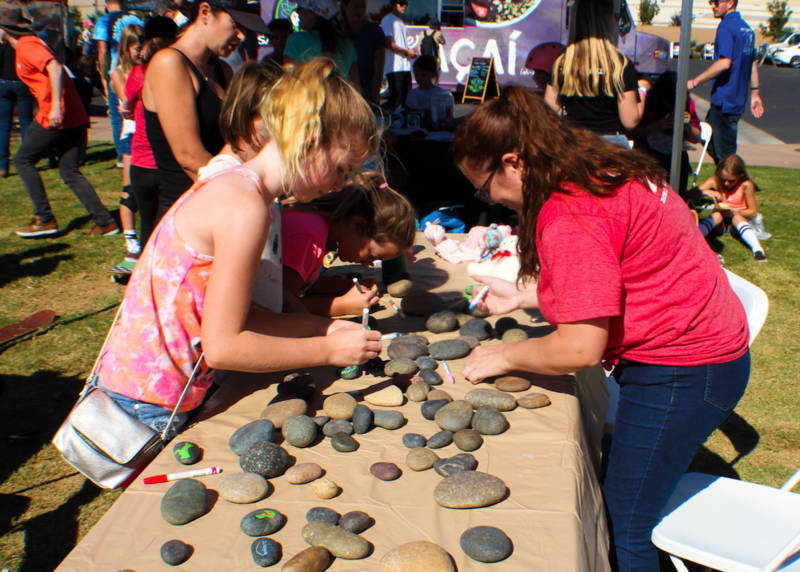 The girls learned that painting rocks is not just fun and easy, it can also be a way to spread kindness. 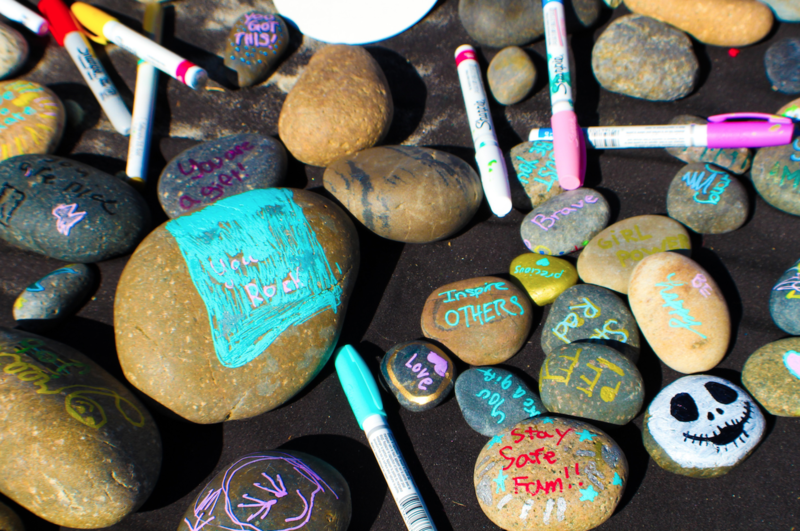 They were encouraged to write inspirational messages on the rocks and then give them to someone or hide them for someone to find. If you missed out on November’s Skate Rising you can catch up any month. 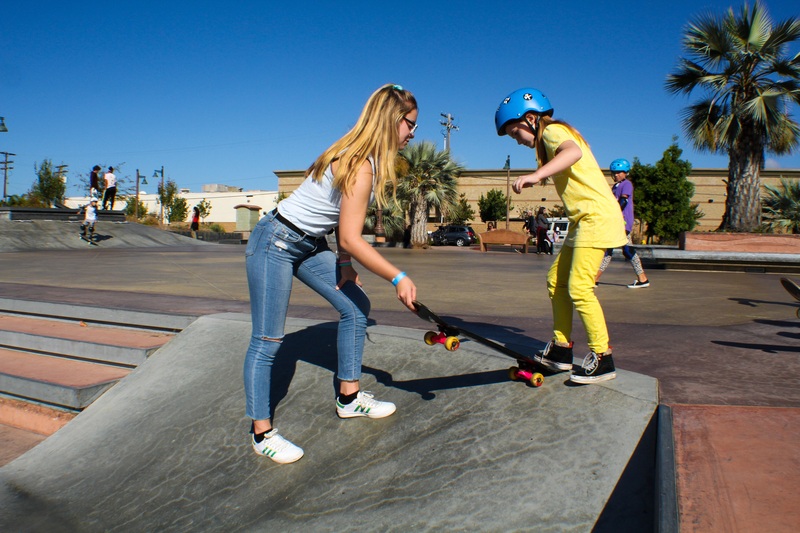 Skate Rising happens the second Saturday of the month at the Encinitas Skate Park or if you’re in Phoenix, Arizona area you can check out Skate Rising Phoenix at the 91 West Skate Park. To find out how you can be involved with Skate Rising (volunteers and sponsors always welcomed) contact Calli at calli@exposureskate.org . 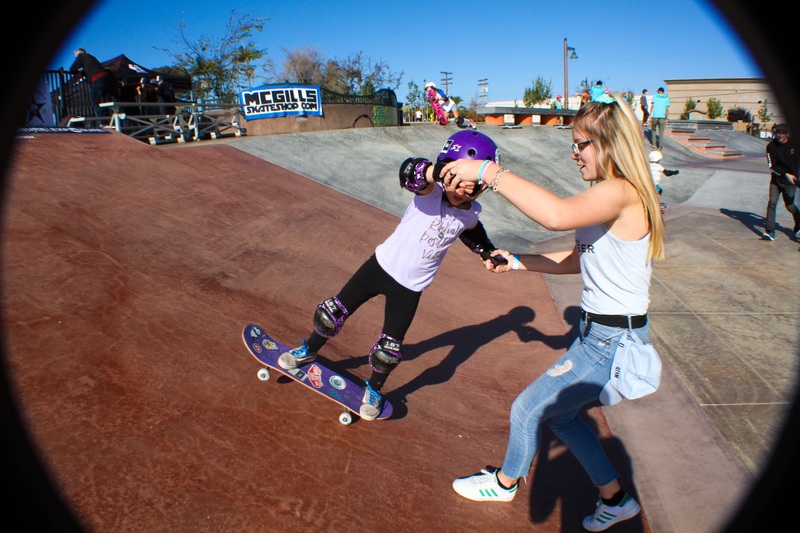 To find out more about EXPOSURE Skate a nonprofit dedicated to empowering women through skateboarding check out their web page. 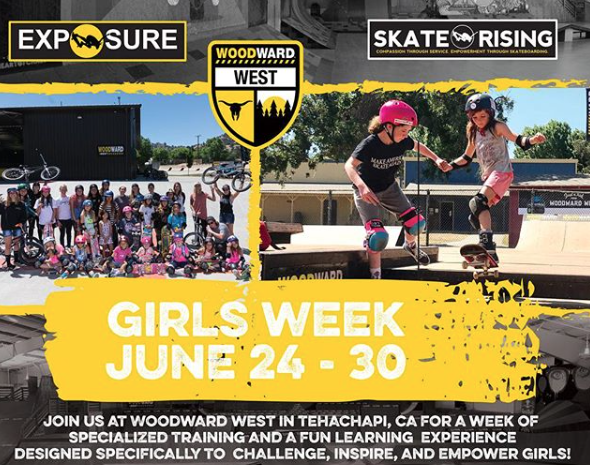 To spend even more time with Skate Rising & EXPOSURE Skate check out Woodward West’s Girls Week.